“The good ones go on the dish, the bad ones put out if you wish.” Even in fairy tales, food such as peas and lentils had to be separated from undesired foreign substances. This fundamental principle has remained the same, even today. However, whereas in the story world it was possible to call on a host of busy little birds, in the real world we rely on state-of-the-art optical technology today. Industrial image processing with food? When we talk about “industrial image processing,” we often picture robots in huge factory buildings. We seldom think of apples, potatoes, and rice. However, the production of food has little in common with romantic images of agriculture. The same technologies are meanwhile used in farming as those in industrial manufacturing. Quality ControlOne of the most important fields of application of optical technologies is quality control. In facilities in which tons of fruits, vegetables, meat, and fish are processed daily, it is unthinkable to carry out quality control by hand. At the same time, the quality requirements are constantly being intensified by lawmakers on a regular basis and consumers are becoming more and more demanding. It no longer comes down to just the objective criteria of quality for consumers: it is becoming increasingly important that food also look good. Podgy strawberries or carrots with two “legs” are considered by many unenjoyable, even if they do not have any defective spots. The rise in such demands often leads to the increase in the ingenuity of engineers. We can meanwhile observe a suitable sorting facility for each criterion. Depending on what a machine is designed to sort, different sensors are used (i.e., most commonly laser systems and diverse types of cameras). Simple cameras provide images of the size, shape, and color of fruits. They are always used when it is important to control the outer appearance of fruits. Bad spots on apples and potatoes usually have a different color than the healthy parts. Thus, monochromatic cameras can be used to sort the good from the bad because they are sufficient for distinguishing the contrast between light and dark. 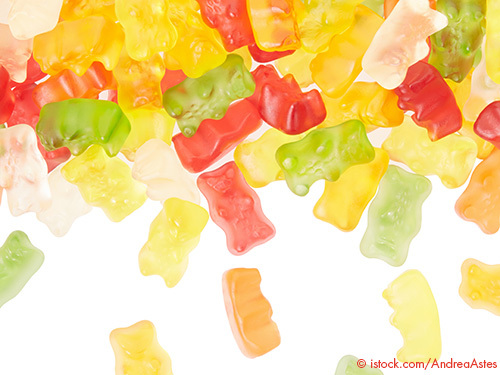 Polychromatic cameras are used to separate food from each other when color variations play a role (e.g., to separate red, yellow, and green gummy bears). Unlike pure camera detection, combining laser modules and cameras makes it possible to analyze the surface structures of objects. At certain wavelengths, they can penetrate deeper into the tissue of food, thus providing insight that would not normally be visible during purely external controls. These properties are used in sorting facilities to sort out stones, glass, and metal, for example. The “defective” elements can also have the same color as the “good” elements. Normally, potatoes and stones would be otherwise difficult to distinguish based on their outer appearance, but they have completely different surface structures. Another area of application is IR spectroscopy. It is used, for example, to determine the exact amounts of fat, protein, and other nutrients in meat. This makes it possible to correctly indicate these nutritional values on the packaging, which is required by lawmakers. Sorting ProcessForeign substances and damaged food recognized by the optical systems are sorted using different methods. Today, small objects like the peas and lentils in the story of Cinderella by the Brothers Grimm would be catapulted from the ashes and collected in containers using compressed air nozzles. Larger fruits like apples and potatoes are often mechanically redirected to land in the appropriate boxes depending on size and grade of quality. From grains of rice to fish filets, there is nothing today that cannot be analyzed, cleaned, sorted, and processed by machines with custom optical methods. Therefore, only food that meets all quality requirements makes it into the supermarket. Sorting machines use a unique feature of chlorophyll to differentiate green fruits and vegetables from other green objects: If the tissue is exposed to UV light, the plant parts appear to glow red. The reason for this is chlorophyll. This pigment is crucial to the metabolism of plants. Under “normal” conditions, it absorbs blue and red wavelengths and uses their energy for photosynthesis. The green light is reflected. This is why grass and trees appear green. Long-wave UV radiation exposure, however, results in chlorophyll fluorescence: Part of the pigment, so-called chlorophyll a, converts a part of the incoming UV radiation and emits it in the form of heat. The rest is emitted as light in the visible spectrum – in this case at a wavelength of approx. 670 nm. This is the reason that the corresponding plant parts do not appear green but red. In objects without chlorophyll, however, this effect does not occur. The objects can, therefore, be clearly defined as not plant based and sorted out. More and more food lands pre-portioned on the supermarket shelves. But how can you be sure that all portions have the same weight? Laser technology can also be used to answer this question. With the help of laser modules, the shape of the objects can be measured three dimensionally – no matter how crooked or misshapen they are. Based on this data and the average weight of the goods, a computer can calculate where the cuts have to be made for each section to have the same weight.